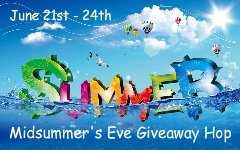 Thank you for participating in the Midsummer's Eve Giveaway Hop. I will be posting the winners on Sunday. If you won, you will be contacted by email. You have 1 week to claim your book or another winner will be chosen.